French painter, tapestry designer, and illustrator. 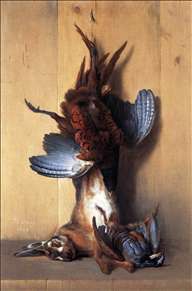 He was a pupil of Largillire and painted some portraits, but he is renowned chiefly as one of the outstanding animal painters of the 18th century. 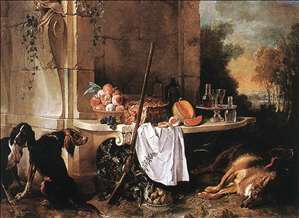 With Desportes he was the foremost exponent of hunting scenes and still-life with dead game. 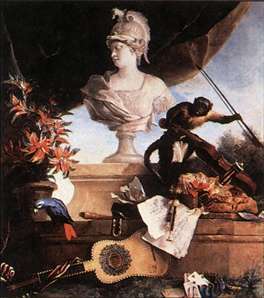 Some of his best work was done as a tapestry designer, and he was head of the Beauvais and Gobelins factories from 1734 and 1736 respectively. 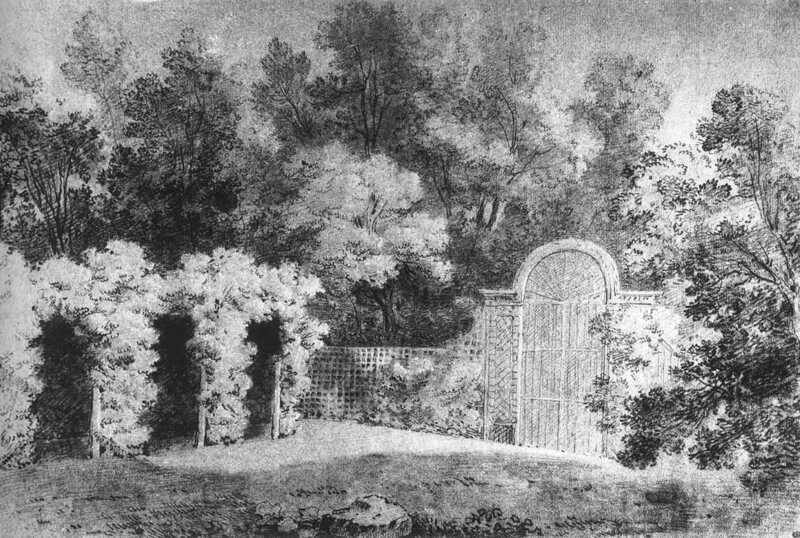 He also did book illustrations, notably for an edition of La Fontaine s Fables (1755). 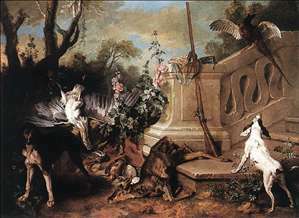 His son Jacques-Charles (1720-78), a flower and animal painter, sometimes collaborated with him. 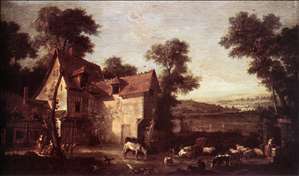 See more details about "Allegory of Europe"
See more details about "Dead Roe"
See more details about "Dead Wolf"
See more details about "Farmhouse"
See more details about "Still-life with Pheasant"
See more details about "The Park at Arcueil"